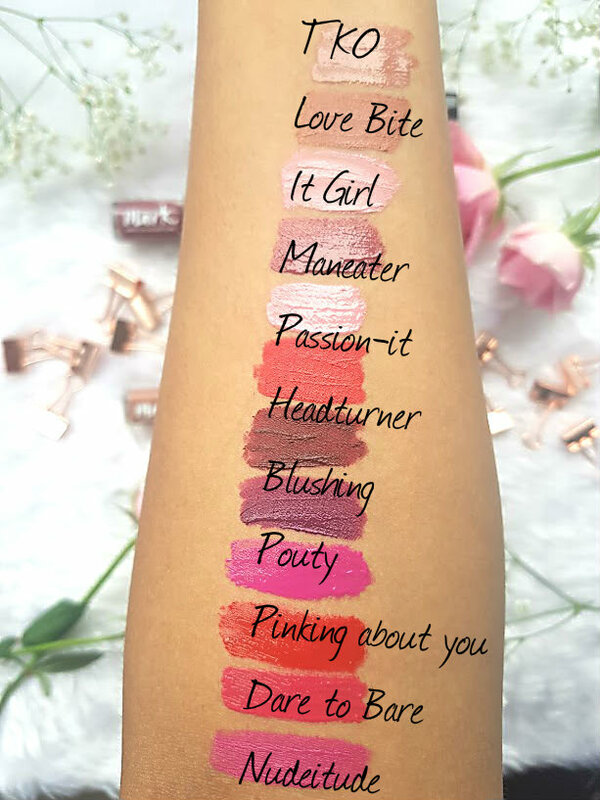 If there is one thing that no one can never have enough of, it is definetely lip products. No matter what your look or mood, a lip product makes everything better. Avon are a brand that I have loved for years, still to this day we get the book through at home to have a flick through and order things that you don't really need, but want to try because it is affordable and easy to buy. 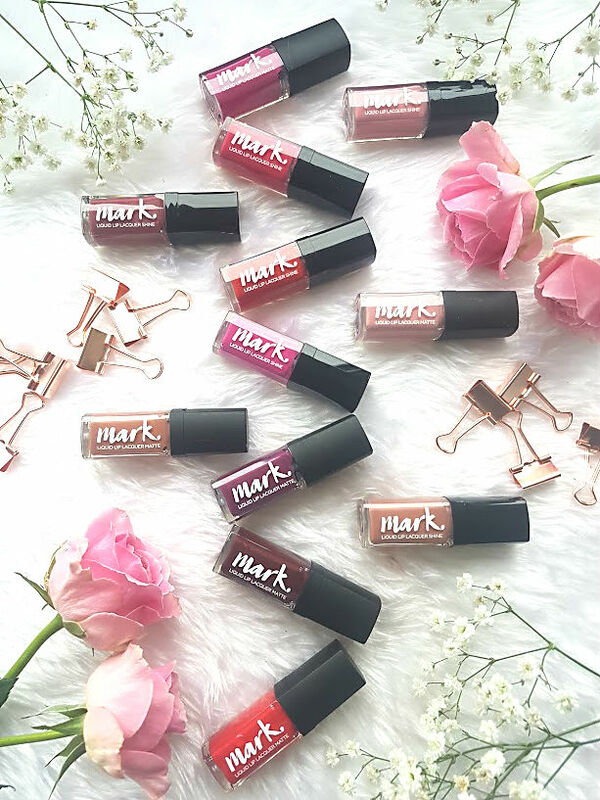 More recently, they have launched a brand called MARK, a edited beauty and fashion range that gives every woman the opportunity to make her own mark. 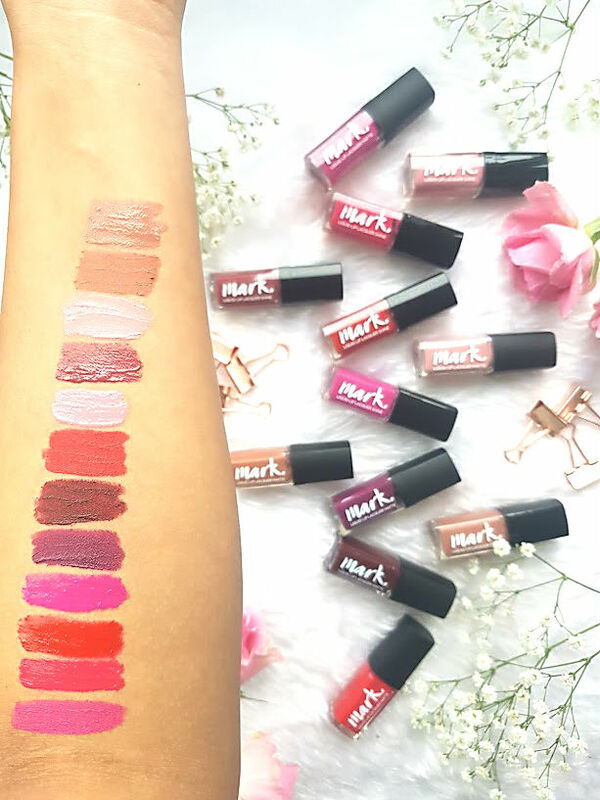 As part of this range are some lip lacquers, there are glossy and mattes within the range and a shade for everyone! I was very kindly a sent a selection of shades from both the matte and glossy range to try, here is a little review of them and some swatches. I am slightly in love with the packaging of these little power punches, the small, handbag friendly tubes are perfect for on the go and to display. They do look just like nail polishes but for lipsticks so small, they are very mighty! I love that you can see the shade of the lip lacquer through the bottle - very crisp and appealing. Each one has a dofer applictor, allowing for precision and easy application. I found it quite odd when trying the glossy shades, a liquid lipstick that is glossy is not usually what you get but somehow it works. These are glossy and look it but do not feel sticky or tacky on the lips. Nothing worse than that feeling of something sticky on your lips and going everywhere. These apply really nicely on the lips and don't streak, like many glossy products do. They tend to go after around 4 hours, but what do you expect with a gloss? The more typical liquid lip is of course matte, there are so many different formulas and types out there it is overwhelming to say the least. For just £8, these are quite the steal. They have a mousse like texture, feel like a gloss but set done to a matte. The swatches above (sorry that they aren't all straight) show the different shades after about 10 minutes on my arm, you can see that the mattes e.g. Pinking About You, don't fully dry down, making it more of a velvety matte finish. I find that these last through most things, and even after drinking a cup or two of coffee and eating my lunch, the colour is pretty much still there. After testing these out for the past few weeks, I can confirm that for only £8 you are getting a very high quality product. Every shade that I have tried from the range has been amazing, looks pretty on the lips, feels amazing, lasts and so cheap! Do you have a shade favourite?